PHYSIO & PT'S BEST MATE! PHYSIO & PT’S BEST MATE! 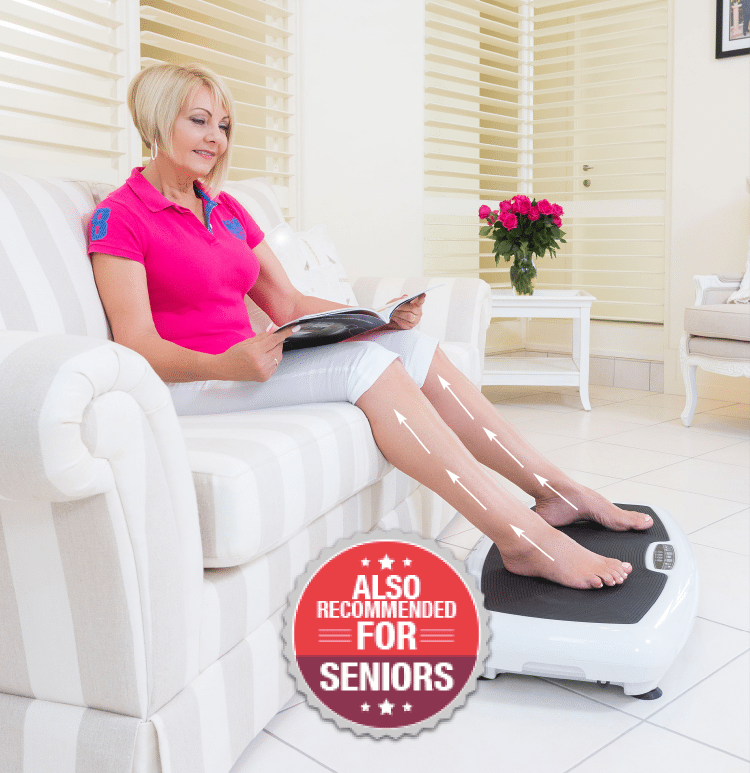 WHOLE BODY VIBRATION MACHINES ARE A FUN AND SIMPLE WAY TO EXERCISE AND LOSE WEIGHT! It seems strange calling vibration machines a form of exercise or training as it can take almost no effort to use and get impressive results. The secret to vibration training is how cleverly it gets your muscles working. The best way to understand this is to experience vibration for yourself. But, if you haven't had the chance yet, just imagine your whole body finely moving and vibrating creating blood flow to all cells of your body. WHAT RESULTS DO YOU REALLY GET? 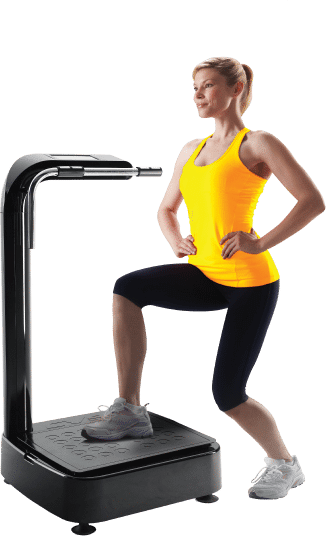 Vibration training machines are now used by personal trainers, sports clubs and sporting professionals, ballet companies, celebrities and health clubs all over the world. Australian’s have been getting in shape with our specialist high quality health and fitness products for over 12 years. 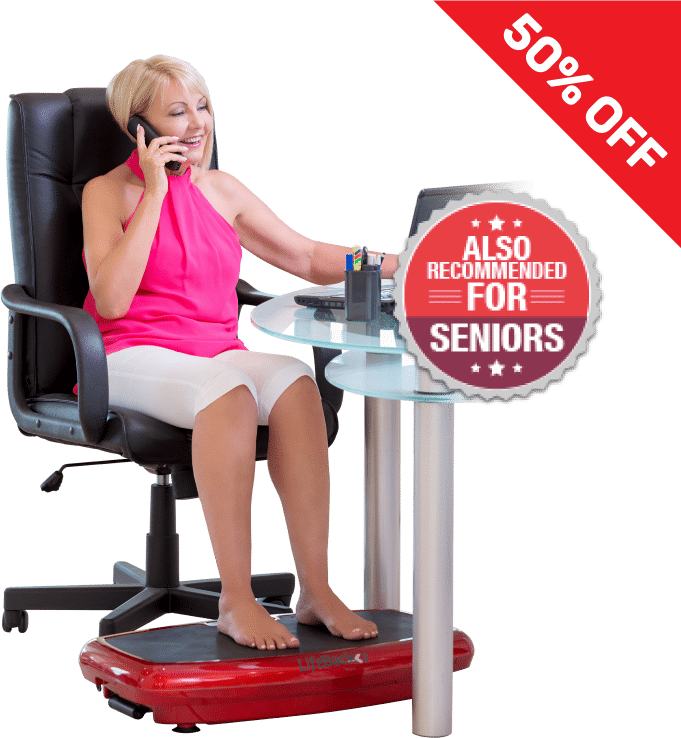 Whether it’s weight loss and toning, improving core strength to relieve a bad back or protecting yourself from osteoporosis, our experts will provide you with practical guidance and a program to suit. We offer up to 3 times the industry warranty on our vibration machines and provide in-home service. Upgraded for Aussies. We offer quality products with high specifications, according to IVTRB standard (International Vibration Training Regulatory Body). Not only do we provide value for money as specialists, but our finance package is available to almost everyone. 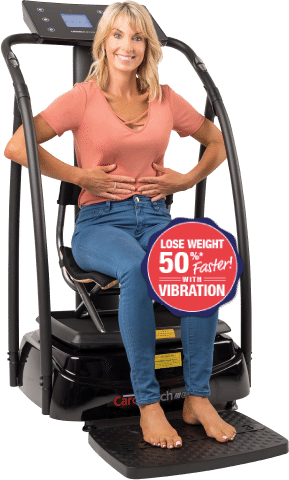 Not sure which vibration machine is best for your beauty and health goals or your lifestyle? Call us on 1300 135 596 and talk to our qualified vibration experts. If you just want one asap (who wouldn’t) – we can organize delivery to your home within 48 hours in all capital cities and major regional hubs in Australia. It may take us a little longer to deliver to remote areas – call us and we can advise. 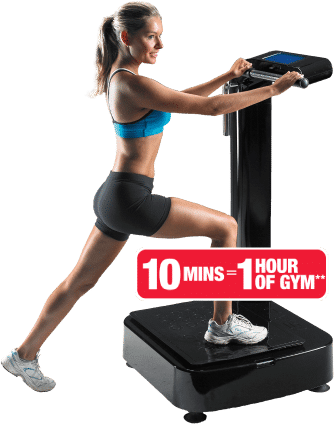 Vibration machine plus an award-winning treadmill!!! CV12 : *Continuing credit provided by Certegy Ezi-Pay Pty Ltd. Fees, charges, terms, conditions and lending criteria apply. Quoted payment based on RRP of $2,279 and $100 deposit. Minimum amount payable $2,688.90 over 38 months. 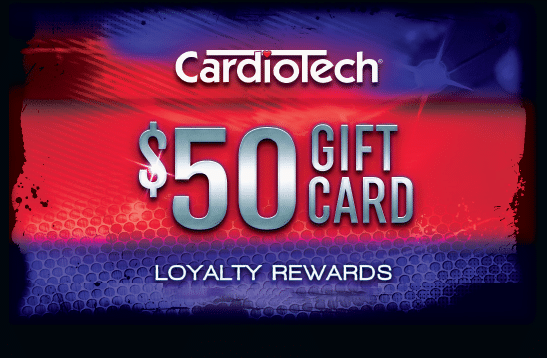 Includes $35 Establishment Fee, $3.50 monthly Account Keeping Fee and $2.95 fortnightly Payment Processing Fee. Ask in-store for details or visit certegyezipay.com.au Delivery charge if applicable. Not available with any other offer. CV9: *Continuing credit provided by Certegy Ezi-Pay Pty Ltd. Fees, charges, terms, conditions and lending criteria apply. Quoted payment based on RRP of $2,479 and $109 deposit. Minimum amount payable $2,888.90 over 38 months. Includes $35 Establishment Fee, $3.50 monthly Account Keeping Fee and $2.95 fortnightly Payment Processing Fee. Ask in-store for details or visit certegyezipay.com.au Delivery charge if applicable. Not available with any other offer.